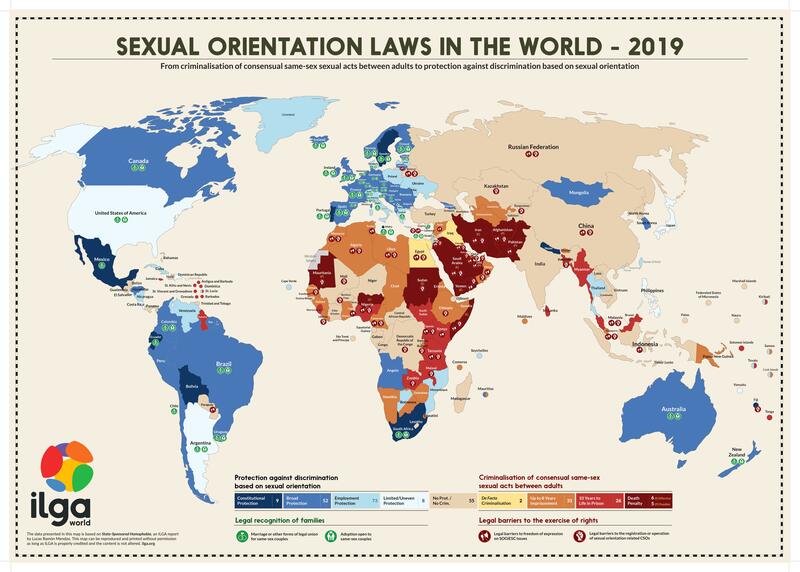 The maps of sexual orientation laws that accompany ILGA'sState-Sponsored Homophobia have been updated and there is a fresh approach to looking at laws. Their colour scheme has also been altered to make it easier to read for persons with colour-blindness. In the past we looked at the continuum of laws from death penalty at one extreme through to marriage equality at the other. 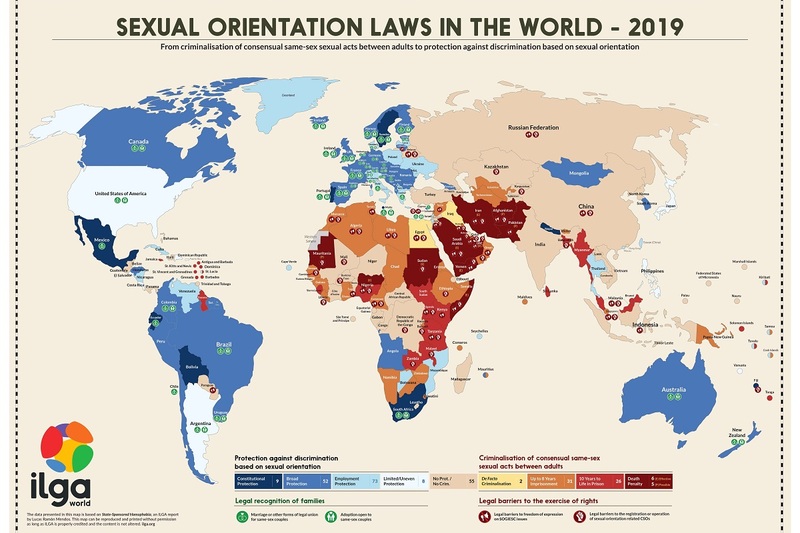 This year, the top end of the spectrum is those places with constitutional protect against discrimination on the grounds of sexual orientation.